How to Improve your Client's Satisfaction? A Client is an inevitable part of any business. A business is because of Customer Satisfaction and not the other way around. In today’s competitive scenario, it is important to retain your customers from going away. 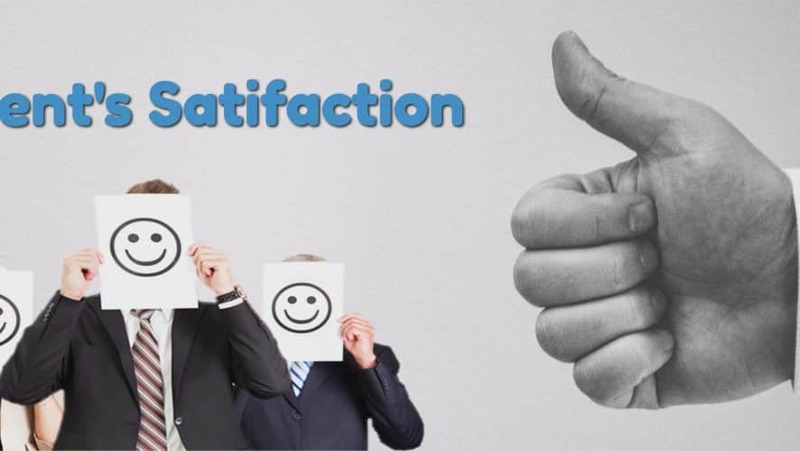 Here, we shall enlist some of the important strategies that will help you improve your Customer Satisfaction and, thereby, getting more profits for your company by improving customer retention. A customer is your actual Paychecks. Imagine, what would you do if you don’t have any customers? How would you pay salaries to your employees? Where would you pay your office overheads and rent from? If you have an answer to these questions, then you’re on the right track. “The customer is always right” is a motto which indicates giving a high priority to customer satisfaction. Any product that is developed by any company is solely for its potential customers. The customer is, therefore, rightly regarded as the King of the market. You must adjust yourself and priorities according to the requirements of your customer. There may be times when the customer requirements change when you have completed your project to 50%. You may have to restart the project from scratch. Well, the customer is always right. You need to understand the customer’s point of view too. signing a contract with your organisation. Every customer is important and you have to try every possible method to make him like your services and the organisation as a whole. More than 50% of the software projects in app development worldwide are not delivered within the deadline set at the time of contract. These late deliveries, therefore, take a financial toll on the business owner as well as the end customer. What happens when you do not deliver the services to your client within the set delivery date? Obviously, the client may have to bear some financial losses as he might have made a commitment to someone else. Therefore, the financial loss/deduction is also incurred by the service provider organisation. Apart from the financial losses, the business also suffers a potential customer satisfaction getting away from their hands. A satisfied client can do wonders for your business but an angry client can take down your business. It is, therefore, very important to track the progress of your projects and coordinate it with the deadlines set by the client. On the other hand, if you think that the project delivery date may have to be postponed, then you should straight away tell your client about it without telling any lies. You must tell the client about the true reasons that caused you a halt in the project development. In this way, the confusions can be avoided and also, the client feels good about the fact that you were being true to him/her. Customer Experience or CX, in short, is the interaction between the customer and the organisation throughout their business relationship. Customer Experience is truly the key to expanding your business. It is all about the experience that the customer pays for. Why would a customer pay for $10 for a coffee in Starbucks which he can get in $1 in a normal coffee shop? You get it right! It is the delightful experience that the customer pays for to the Starbucks. A client should feel special when he comes to do business with your organisation. He should feel that there is something different with this organisation. Customer Experience is an integral part of the Customer Relationship Management. You must understand who your customer is and what is his/her requirement. Also, you need to develop a good bonding with your client which will help you improve customer satisfaction too. 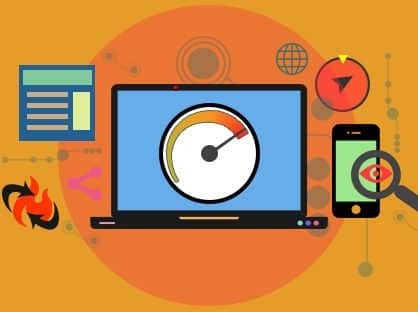 One important part here is that you must measure the return on investment (ROI) while providing your clients with as good customer satisfaction possible. We generally hear the phrase – “Customer is God”. It is indeed true. Every customer comes with a bonus opportunity for your business. You satisfy the customer with your work and ensure that he gets his product / service without any hassles. I assure you that he is going to recommend your name to other business owners too. This way, you can kill two birds with one stone. Well, it’s not about killing here but about attracting more customers just by satisfying one client. Believe it or not, some businesses have expanded only due to referrals initially just because their services were too good to be ignored. A customer satisfaction can be very beneficial to you if you work according to him and provide the services before the deadline. Ensure that customer has a hassle-free experience with your organisation. Customer satisfaction delight is surprising the client by doing something extra for him/her way far from his expectations. This helps to strengthen the emotional bond between the client and the organisation and I can assure that the client is going to return to your company with another business proposal. If your clients are happy, your business is going to be a success. A satisfied customer won’t trouble you while performing transactions and he will generally not negotiate on payment is he is a returning client because he knows the value and dedication of your organisation that your company works with. Whenever you sign a deal with any customer, it is important to verify each and every small detail with the customer. These details may include the requirements, deadlines, the number of employees, customer satisfaction and expectations and other similar things. You must talk to your client about all the details beforehand and everything must be in writing. This is because, if after the product delivery, the client wants to make any modifications or changes, you should have a proof in written which will help you as well as your customer with a reference note and avoid misconceptions and confusions. You must know what the client expects from you and what you are going to deliver. This should be communicated by both the client and service provider. This helps in inculcating a sense of responsibility within the mind of the customer. Controlling your customer retention rate is an inevitable part of growing a sustainable business. As explained above, every client comes in with an opportunity of a business referral. Imagine that you have delivered your product/service to your client before the deadline and he is extremely happy about it. Don’t you think that he will recommend your product or service to his friends or colleagues? He definitely will do it. It is, therefore, very important to treat every customer properly and ensure that the client gets his work on/before the deadline. Once the customer gets a sense of dissatisfaction, he will never ever again bother to ask you for any more business and you never know, you may have lost a potential money making client. Remember, there is no guarantee that a satisfied customer will tell his friends about your products or services. But, if a customer is dissatisfied with your services, he will be telling about this experience to your other potential clients too. This is a normal human tendency. Client feedback is an important analysis tool that helps the business owners to get an insight into their services and products. The feedback’s help in analyzing the quality of the products and services thereby helping in the decision-making process. It, therefore, helps with the modifications / enhancements required to improve the services or products. It is the best method of identifying if the client is satisfied with the services or not. If he is not, he/she will at least mention the problems in the feedback form which will again help you to improve the services so that other clients do not face the same issues. Therefore, it helps to improve customer retention. Such feedback forms, if implemented properly, helps to provide the future clients with a much better customer experience. Also, these feedback forms showcase that the business owners really care about their business and, therefore, leaves a good impression upon the client. There is a lot of difference between customer delight and customer satisfaction. Client satisfaction simply means fulfilling the client requirements whereas customer delight goes beyond it. It helps to develop an emotional connect between the customer satisfaction and the organisation which forces the client to continue with the organisation for his/her future business ventures too. Customer loyalty and referrals are the two most beneficial outcomes of customer delight. Many businesses do not try to keep in touch with their clients after their payment has been made. This is one of the major reasons for customer retention. It is important for the organisation to keep a track of the service / product that you have sold to the customer and get to know about if there are any difficulties being faced by the client or not. You need to make your client feel that you genuinely care for him. Unless you do this, he/she will not come to you for their next business offer. You must ensure your client after sales service offer which makes him feel that you’re passionate about your business and the client is of immense value to you.